Hotai Motor Co. Ltd., Taiwan's agent of Toyota and Lexus, recently announced Q1 operation results, including consolidated revenue of NT$37.78 billion (US$1.26 billion), down 1.35% year-on-year (YoY); net earnings of NT$2.5 billion (US$83.5 million), up 6.5% YoY; and earnings per share (EPS) of NT$4.11 (US$0.14), better than NT$3.86 (US$0.13) a year earlier. 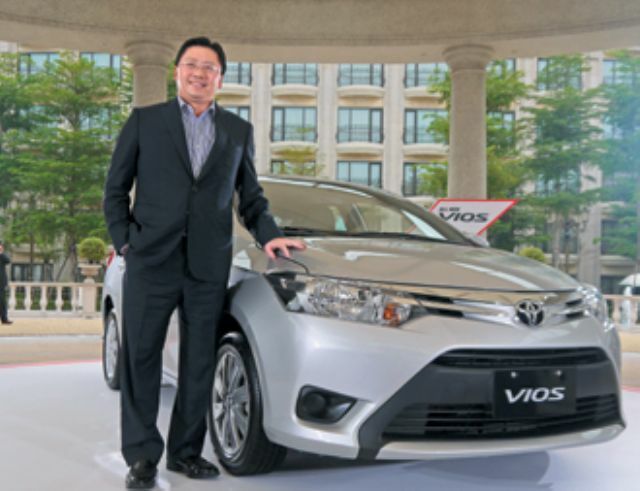 The company attributes the YoY revenue decline to the sales lull between the old- and new-version Toyota Vios sub-compact sedan, a very popular sub-compact in the domestic market. However, sales of higher-price and -margin models, including Toyota, Lexus and Hino cars, sport utility vehicles (SUVs), and trucks, boosted Hotai's net earnings to a record high for the period. In addition, Hotai said, lower marketing and sales expenses also helped lower operation cost and upgrade profit margin. Yulon Nissan Motor Co., local agent of Nissan and Infiniti, is expected to soon announce its first-quarter results. Industry sources said that return on investment from Yulon Nissan's Chinese affiliate Dongfeng Nissan is expected to remain stable, but Yulon Nissan's first-quarter EPS is forecast to be lower than NT$4.27 (US$0.14) registered in the same period of last year. Some institutional investors said that Yulon Nissan has reached an agreement to share the benefits or losses of currency exchanges. Thanks to the sharp depreciation of the Japanese yen against the U.S. dollar in 2013, Yulon Nissan hit record operating earnings of more than NT$1.8 billion (US$60 million); and Yulon Nissan has to return half of the profits generated from currency exchange to Nissan Japan this year. In addition, Yulon Nissan purposefully lowered the pricing for two of its new locally-assembled models, the Nissan Super Sentra and Livina, to compete with targeted Toyota models. The Japanese yen has been appreciating since early this year, with compressed profit margins also expected to undermine Yulon Nissan's operating earnings. Institutional investors forecast that Yulon Nissan's first-quarter EPS is expected to be lower than last year's; but if Chinese affiliate Dongfeng Nissan contributes higher ROI, the company still may keep its most-profitable position among listed auto makers and vendors.